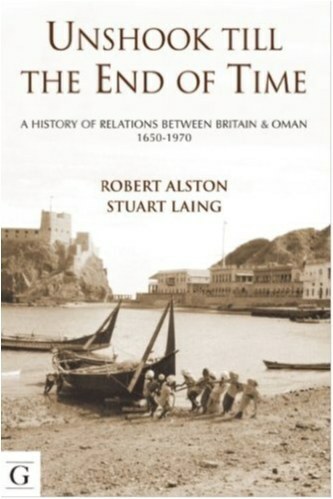 Robert Alston was British Ambassador to Oman between 1986 and 1990, and is co-author of 'Unshook till the end of time' a history of relations between Britain and Oman between 1650 and 1970. He is also Chairman of the Anglo Omani Society. In the second of a series of interviews at the Society’s London headquarters he met with OmanGBnews.com’s Ben Pinnington to discuss a number of dimensions of Omani culture and religion. Ibadhi Islam is the main religion in Oman, how does it differ from Sunni and Shia? Is it less conservative and what impact does it have on Omani culture? Ibadhism is a tradition within Islam that is neither Sunni nor Shia but is as old as both. It goes back to the 7th century and it was developed in Basra by Omanis. At that stage Omanis, who were in the armies of Mohammed, had moved north out of the desert as part of the Arab forces who conquered that part of the world. So it is no coincidence that it has remained a stronger tradition in Oman than in any other part of the Muslim world, though there are pockets elsewhere, particularly in North Africa. How can it be characterised? You can say it is quite an austere tradition, in terms of what it demands of its adherents. However, a very strong characteristic is that Ibadhis have always been accepting of the fact there are other traditions and in the modern world that has been translated into an acknowledgement that the traditions of Islam should coexist and the hope that this should be in friendship not in enmity and you can see the implications of that in terms of the current Sunni Shia quarrels. Equally it leaves them, compared with for example the Saudi tradition, with a much more open view to other faiths. It is no coincidence that Oman led the way in making it possible for Christians and Hindus and others faiths to have recognised and open places of worship. What that be allowed in Saudi Arabia? It is still not allowed in Saudi Arabia, Oman is not now unique but it came more easily to Oman because of the cultural implication of what you can call the Omani tradition. You can see that extended beyond just the cultural dimension of the willingness to live alongside other traditions and other faiths. You also see it in how Oman approaches regional politics because that is really the roots of the position that enables Oman to act as a broker within the broader Muslim world. How does the broader Muslim world and the Sunnis and Shias perceive Ibadism? I am not an expert on that but they perceive the results of the way Oman conducts itself as positive so you have for example the role Oman played in helping to nudge the agreement with Iran towards a successful outcome. You see a very proactive role in trying to bring all the parties together in the Yemen which is very divided between Sunni and Shia as well as tribally, with some Ibadhis. The principal other Ibadhi communities are in North Africa. Oman in recent months has been playing a part in trying to bring the various parties in Yemen together and has more recently been doing the same thing in Libya. The various Libyan parties have been sitting in Salalah trying to bridge their differences and trying to get Government structures rebuilt in Libya. What is Oman’s role in the politics of the Middle East? Three salient things I would say. One, geography, sitting there commanding the southern entrance to the Strait of Hurmuz and the Gulf but open to the Indian Ocean world reflective of the African links going back over centuries. 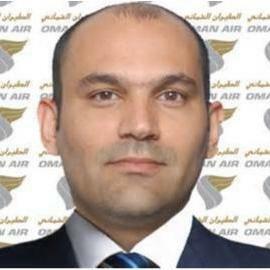 Two, the Sultan has always taken the view Oman cannot afford not to have a working relationship with Iran. Clearly they do and I have seen reports that Oman is benefiting more quickly from Iran’s recent agreement and its wish to reengage with other countries in the region. The third factor is if there has been historically a rivalry between the Omani tradition and another tradition it has been with Wahhabism in Saudi Arabia. This is covered in the ‘Unshook’ book and you will see a number of episodes when that has been the major political theme of decades and longer periods and led on a couple of occasions to conflict most recently in the Buraimi episode of the 1950s. Today Oman is a full partner in the Gulf Cooperation Council (GCC) with the Saudis and the other four Gulf states (UAE, Bahrain, Kuwait, Qatar) but in Omani calculations the relationships with Iran on the other side of the Gulf run in parallel with those with her neighbours in the Arabian Peninsula. What about Oman’s role as a peacemaker – it is like an oasis of calm in the Middle East - what do you consider its importance and impact is as a peacemaker? I don’t think any Omani or any major foreign policy analysis would say that Oman is big enough to be a decisive political force in bringing parties together in various disputes. But, the tradition, rooted in Omani culture, of acting as a bringer of people together is perceived by most in the region and the West as an asset. Why is that part of its culture? Because of where the Ibadhi tradition leads. It is also very much related to Sultan Qaboos’ own policy and inclination of how he wants to use Oman’s assets and position regionally. For a Briton reading this going to live in Oman, how do you respectfully treat Ibadhism? If you are British and going to live in Oman you should study Islam, in a general sense, in the way you would if you were going to live anywhere else in the Muslim world in terms of what can create offence and what is important to them and you should apply it to the Omani context. Certainly in Muscat you do not have to feel uneasy. But, for example, one area that is quite difficult is when cruise ships call for very short visits. In the Omani tradition, it is polite for western women to wear long sleeves and not too short dresses. But on cruise ships you cannot impose a dress code on them. Based on your experience how have Britons successfully integrated into Oman? They have been respectful of what they know to constitute potential points of offence. In my experience when I was there in a community of 10,000 in 1986 you are never going to get everyone behaving in that way but the vast majority do. Is the key to success to take time to build relationships and have patience? I think that must be right. The vast majority go in as employees of companies and so on and they are good colleagues with their Omani opposite numbers. But certainly if you are going to build a business you have to invest time and effort. How does Oman perceive Britain? Very positive not least because of the number of Omanis who come as students here. There are around 2000 Omani students in the UK at any given time. A lot of UK people have lived and worked in Oman and there is still a great respect for the help that the British military gave to Oman in the 1960s and 1970s. But, we should not delude ourselves that we have a unique position in Omani affections. They have strong relationships with many other countries too, European, North America and Australia and so on. We have to remember that we have to earn their continuing respect and friendship and that is very much what we are about in the Anglo Omani Society particularly the New Generation Group in trying to forge links among people in the first half of their working careers. How do Omanis perceive the other countries in the Gulf that are struggling, is there a kinship? Omanis in the south, in Dhofar, would feel a significant kinship with Yemen because tribes in the East of Yemen are the same in Dhofar. So Yemen is something that impacts on them. Frankly the Arab Israel crisis, Syria, Iraq much less so. Oman is on the extreme south eastern end of the Arabian Peninsula. When you were Ambassador what was your most difficult challenge? There were no major specific issues that I faced and indeed rather like now the relationship was a very positive one. What we, and other western countries were trying to do in the 1980s, alongside the regional Governments, was come to terms with the Islamic Republic of Iran. We had a lot of Royal Naval deployments when the Iranians started laying mines in the Gulf and the Royal Navy deployed a mine sweeping flotilla to clear them so there were questions like that. 'All of us, at a time when the Iranians and the Iraqis had fought each other to a standstill, were trying to look forward from that conflict and assess the respective threats which the two countries represented to regional security. It’s fair to say again that the Omanis tended to have a view of Saddam Hussein which was more negative at that time than most western Governments. I left Oman in January 1990 and by the end of 1990 they’d been proved right because Saddam had invaded Kuwait. For any Brits going to live in Oman – Oman has a very deep history. When did Europeans first reach Oman? The Portuguese in 16th century hence why you have the two Portuguese forts in Muscat then in the 17th century the Dutch, Brits and French came. The whole story is recalled in first half of the ‘Unshook’ book detailing the interaction between them and successive Omani rulers. Can you see democracy being handed over in Oman? Any form of democracy is a very complicated concept. There is a very interesting book ‘the Omani form of democracy’ and of course allowing people to have say in their own affairs is a principle which is important for everyone. Equally, we should remember there are different ways of reflecting that, in our own past too, and that tribal structures are an interesting variant. Tribal leaders were not elected but ensured that the interests and views of the tribe as a whole were evaluated and reflected in broader regional and national discussion. The Omani tribal structure is very sophisticated so those traditions are still embedded in the society. But more specifically the Sultan has introduced changes in the elected house and its representative chamber with more roles to hold ministers to account. The book is written by Robert together with Stuart Laing, British Ambassador to Oman 2002 – 2005.